Ashé Cultural Arts Center is an initiative of Efforts of Grace, Inc., a nonprofit organization that creates and supports programs, activities and creative works emphasizing the contributions of people of African descent. Located in Central City New Orleans, the Center provides opportunities for art presentations, community development, artist support and the creation of partnerships and collaborations that amplify outreach and support efforts. Ashé boasts a repertoire of original theater works that are available for touring and provides sponsorship for many private, public, community-focused and family-oriented events. 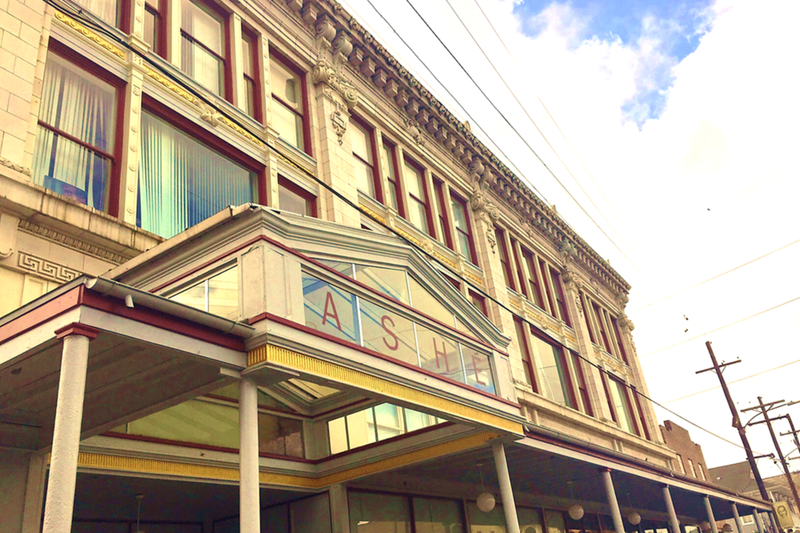 Ashé Cultural Arts Center (Ashé), is a 18,200-square-foot, multi-use facility located on Oretha Castle Haley Boulevard in the heart of the historic Central City neighborhood of New Orleans. The building houses two halls, a newly renovated "front room," and twenty-nine apartments. Thanks to funding from the W.K. Kellogg Foundation, the "front room" features the O-JAM-MEN community nursing lounges for breastfeeding mothers, and a children's area that contains books and games. Outside the main campus on Freret Street, Ashé has established in-community housing called Redd House in memory of its co-founder Douglas Redd. It contains a main house and three apartments in the rear of the building. At 1731 Baronne Street, a1924 New Orleans Public Service, Inc. (NOPSI) streetcar switching station was rehabilitated into a gallery and theater. It became the Ashé Power House in 2015. The Power House is a state-of-the-art performing arts center and visual art gallery and is an extension of our campus in Central City. Ashé also has several innovative programs and projects in various stages of development. All of these endeavors are designed to utilize culture to foster human development, civic engagement and economic justice in the African-American community. EOG/Ashé and its principals have been the recipients of several prestigious honors, including the 2001 New Orleans Multi-Cultural Tourism Network's New Product Award, a 2004 New Orleans Mayor's Arts Award, and the 2007 Big Easy Award for Best Ethnic Dance Production (The Origin of Life on Earth: An African Creation Myth), 2018 Essence Excellence Award for Community/Activism, and more.